Moville has a multitude of great parks to visit. The Moville City Park, built in the year 1916 can be found along Main Street and has a number of wonderful pieces of equipment to play on. We also have Memorial Park, which was built in 1942. Memorial is a beautiful shady park that offers shelter, a children's play area, and the Memorial Boulder. The Memorial Boulder was built after WWII by the American Legion to honor the service men and women of Moville. This park is located just up the east hill from our town's Jack Haskell Swimming Pool. Be sure to visit Veterans Park as well to pay honor to our service men and women at the landmark flagpole. Midway Park is special as it used to be an abandoned state gravel pit. Currently it stands as a wonderfully re-purpose park; a great area to picnic, go fishing, and enjoy nature. 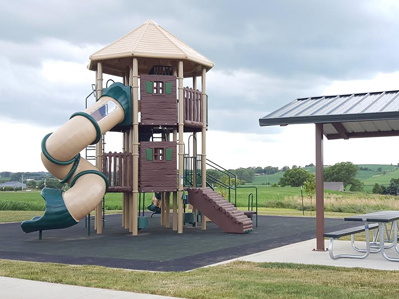 The most recent addition to our park choices can be found at the Ridge, this is a beautiful new structure with rubber padding underneath to add extra safety for the kids. 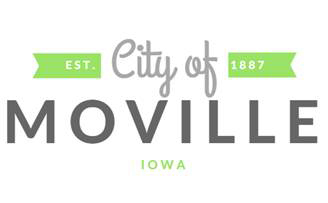 Spend some time in Moville and you will find why we love our city so much. Take a picnic to one of our great parks and enjoy a day in Moville. Call us today for more information! If you are interested in reserving a shelter, please call City Hall. 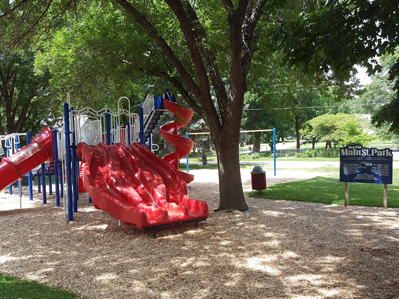 Memorial Park Rental Fee is $25 per day – Has new handicap accessible bathrooms, fridge and beautiful L shape granite countertops donated by Haberl Tile & Stone, which is great for food buffet. 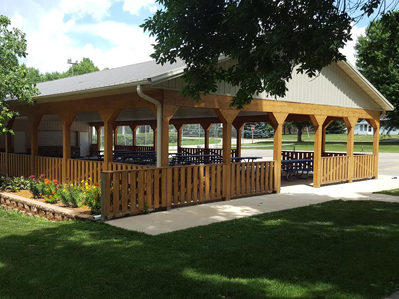 Main Street Pavilion Rental Fee $50 per day with $100 deposit. This allows access to the restroom and attractive new kitchen.